It is never nice to get caught in a storm; you might struggle walking because of the strong winds, the rain will make you soaking wet, the lightning and thunder are terrifying...in other words, storms are horrible. Now, some people will boast about how big the storms are in their area. A British person will tell you that it always rains over there, while an American will warn tell you all about the madness of hurricane season. And even though they are both right, nothing compares to the massive storm that has been raging on Jupiter for centuries. The storm is so big it fits our planet at least 3 times! But things seem to be changing, astronomers have noticed that Jupiter’s storm is getting smaller. Does this mean the storm is at the end of its long life? Let’s have a look. When looking up, you can see Jupiter among the stars in the sky. It’s the biggest planet of our solar system. What you can’t see though is the enormous storm that, according to astronomers, has been going on for at least 350 years. Ever since we have been able to closely inspect the planet, everyone involved kept a close eye on the storm, which was given the appropriate name Great Red Spot. The first time it was surely recorded was in 1831. We say surely, because there was mention of sightings before, but it is uncertain if the astronomers then were looking at the same object. Pictures of NASA show that the storm is indeed changing in size. Earth will no longer fit 3 times in this huge phenomena. 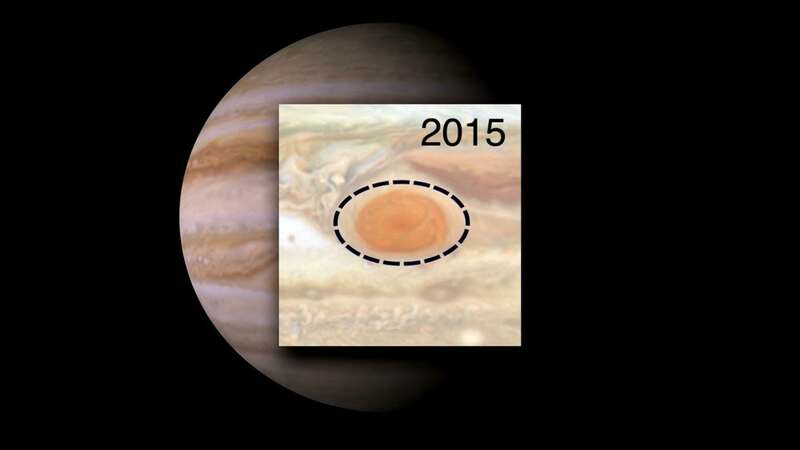 Astronomers estimate the size of the Great Red Spot at 1 time the size of Earth nowadays. In different images taken during the Voyager missions and others coming from the Hubble Space Telescope, the difference is clearly visible. 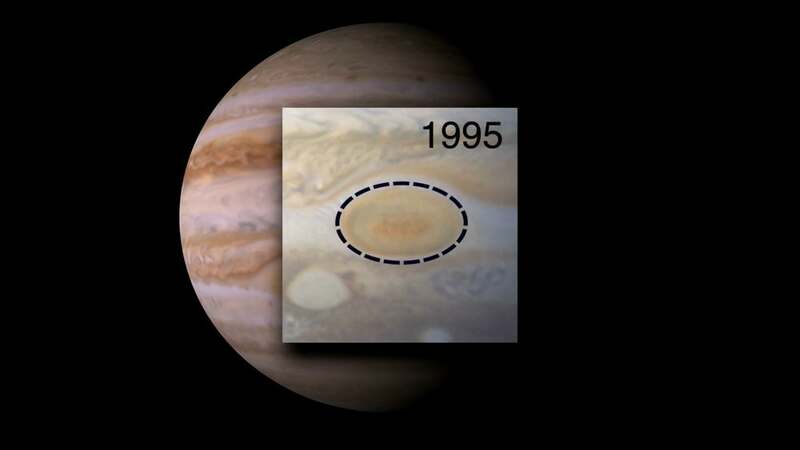 In the first picture, we see the Great Red Spot in 1995. In 2009 it is already a lot smaller. And in 2015 the storm is definitely diminished. Although the storm has been getting smaller, the color seems to be getting more and more intense. It is now of a deep red color indicating that the wind speeds have been going up. With no landmass slowing the storm down, this process might keep happening for many years to come. And the storm isn’t getting any smaller either. Instead of spanning 3 times our planet in width, it now seems to be rising up in the air. You can compare it to a piece of pottery getting taller by the forces within. So when you look up into the sky tonight, remember that no matter how bad the weather is today, it’s still a lot better than walking around under the Great Red Spot on Jupiter. Certain astronomical phenomena are better off far far away.